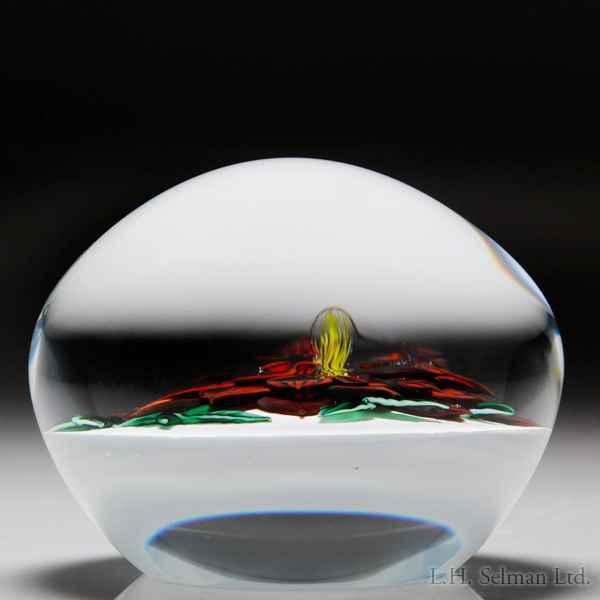 Randall Grubb 1988 red dahlia on white ground paperweight. Three tiers of black-striped deep red petals are centered by a bright spot of yellow stamens and framed by a casual array of dark green veined leaves. Perching on a short thick stem with two additional leaves, the dahlia rests on an opaque sodden snow white ground. Signed/dated. Diameter 3 1/4".